Established in 1985 by Dr Tor Lam Huat, L.D. Waxson, a Singaporean company, manufactures as well as markets a comprehensive range of products. In 2002, the company launched Bio-essence, a skincare brand created by Dr Tor Lam Huat. In the words of the creator, Bio-essence “dares to challenge the big international brands”. This statement was no hyperbole as Bio-essence quickly became a success and in 2012, Wipro acquired the thriving skincare brand (as well as its parent company) for $144 million. Bio-essence has since become a brand always at the forefront of innovation, developing effective products and serving the needs of consumers. Housing a great variety of products as well as pioneering collections, Bio-essence remains big in Asia but now widely available in Australia and the UK. I discovered Bio-essence whilst browsing ASOS. 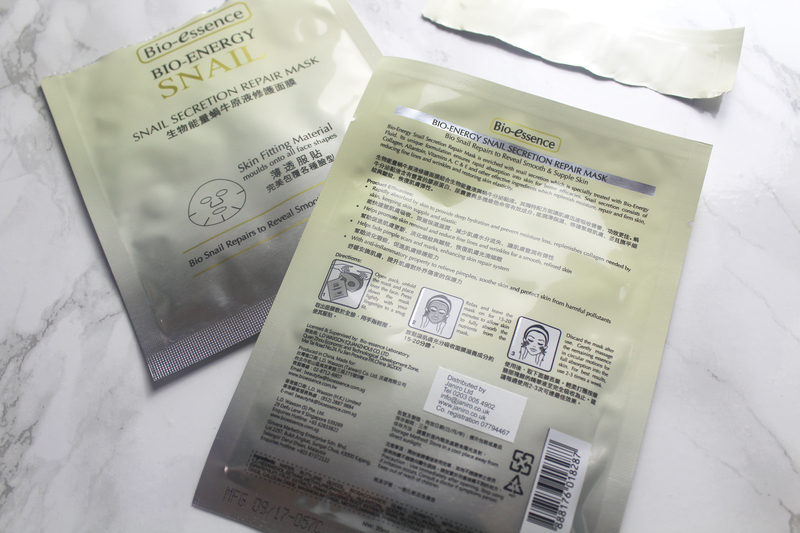 I found the Bio-essence Bio-Energy Snail Secretion collection somewhat bizarre but intriguing. I purchased Bio-essence Bio-Energy Snail Skin Repair Foamy Cleanser (£9.95 for 100g) and Bio-essence Bio-Energy Snail Secretion Repair Mask (£1.75 each, I bought two). Primarily formulated to repair, The Bio-essence Bio-Energy Snail Secretion collection really is infused with snail “slime”. Yes, you read right! This may sound revolting but snail secretion is a popular ingredient in Asian skincare (especially K-Beauty). So, what is in snail secretion (also known as snail mucin/slime)? The answer to this question varies greatly. The general consensus is that snail secretion contains hyaluronic acid and glycolic acid. However, Bio-essence claims it contains collagen, elastin, allantoin as well as vitamins A, C and E. Snail secretion allegedly brightens as well as repairs skin but as it has not been subject to any rigorous scientific testing, I cannot trust what I see and hear about this glutinous solution. 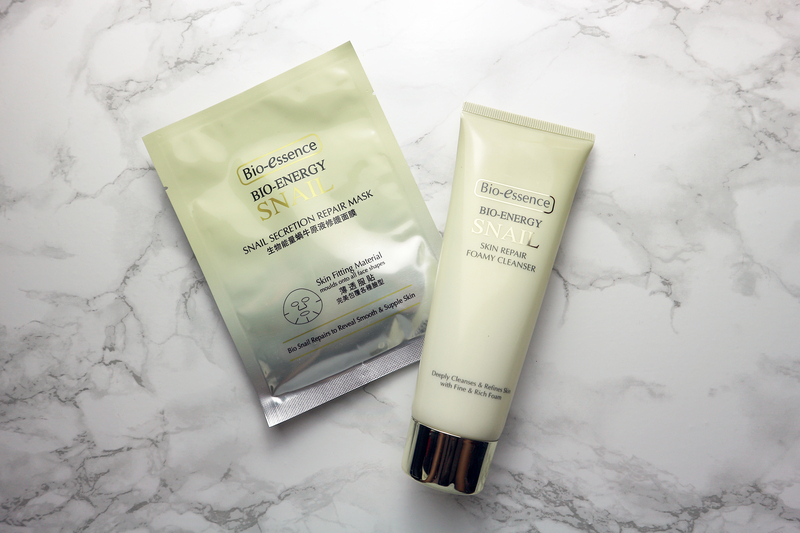 According to the “supplementary” jargon, Bio-essence Bio-Energy Snail Skin Repair Foamy Cleanser effectively cleans dirt as well as excess sebum, retains your skin’s moisture and restores radiance. It is also said to nourish and hydrate your skin. The scent of Bio-essence Bio-Energy Snail Skin Repair Foamy Cleanser is relatively generic; it reminded me of soap. Yes, this is a vague description but it really does smell like soap. It is off-white in colour and looks metallic. Its consistency is slightly thick and far from foamy but a little does go a long way. 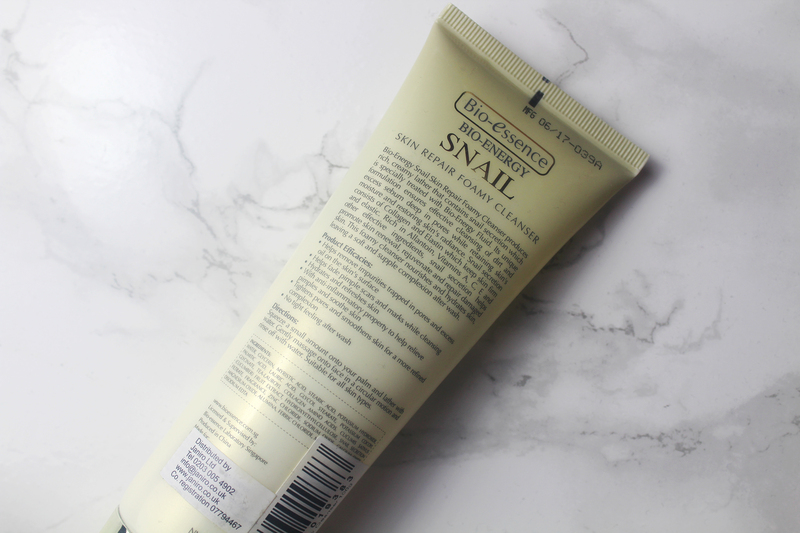 Bio-essence Bio-Energy Snail Skin Repair Foamy Cleanser most definitely cleans (and rinses off without leaving residue) but it left my skin feeling incredibly stripped. Words can’t express how drying this cleanser is. Nonetheless, my skin did appear much brighter and smoother. I don’t know if I am a fan. It is quite overpriced for what it does but it isn’t terrible. If it were moisturising, it would be brilliant. 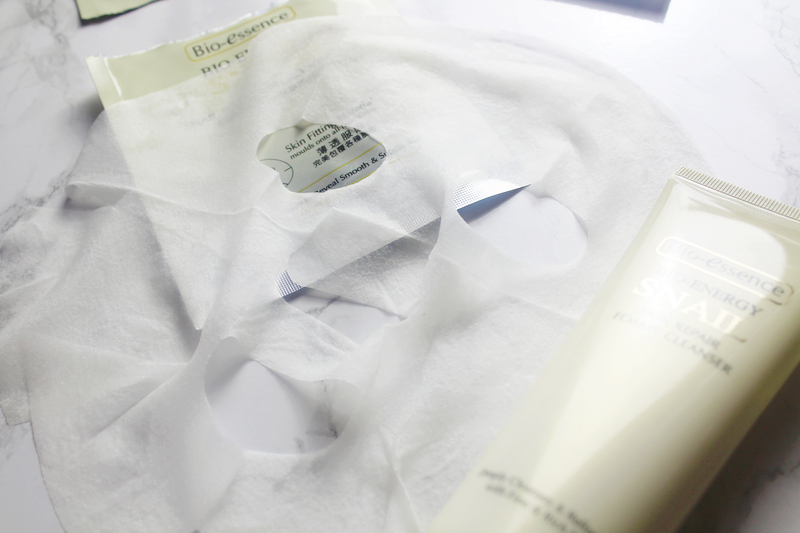 Bio-essence Bio-Energy Snail Secretion Repair Mask is my first sheet mask and I am pretty impressed! 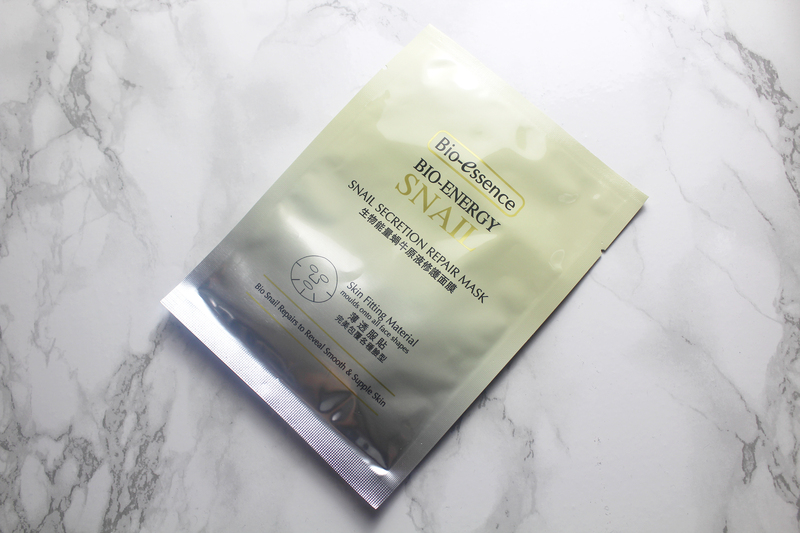 Bio-essence Bio-Energy Snail Secretion Repair Mask is said to repair to reveal smooth and supple skin. 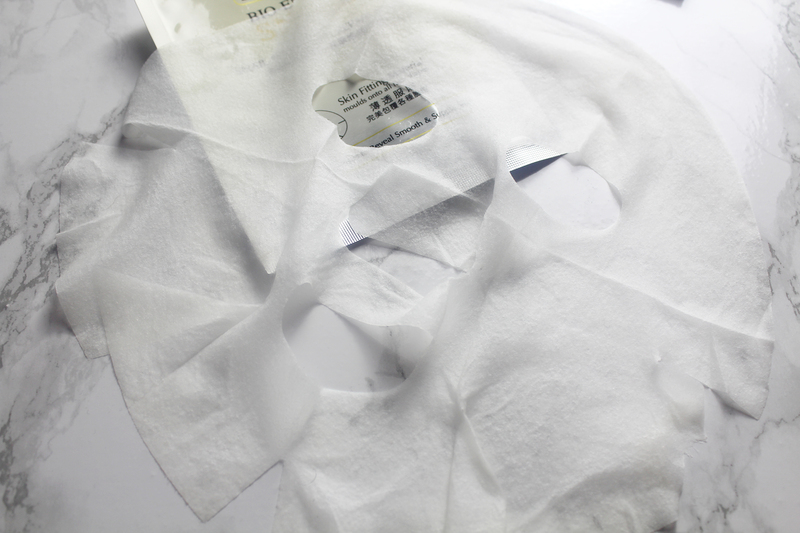 I found this sheet mask a little difficult to unfold without tearing as it is generously enriched. Its scent is moderately similar to Bio-essence Bio-Energy Snail Skin Repair Foamy Cleanser. 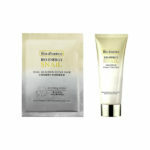 As I purchased two, I have only used Bio-essence Bio-Energy Snail Secretion Repair Mask twice. I chose to use the sheet mask right after cleansing, leaving it on my face for 20 minutes (the maximum amount of time recommended). I found the fitting perfect. As the sheet mask is very saturated, I applied the excess product to my neck. The results were immediate and undeniable. 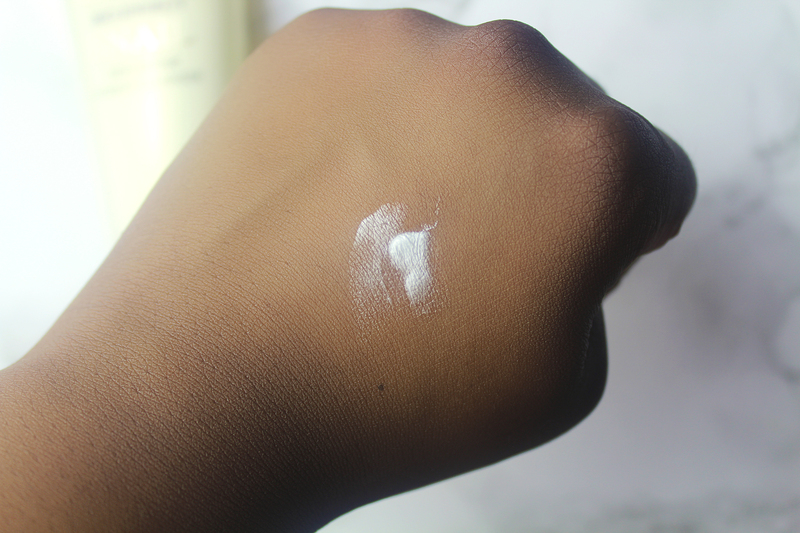 With every use, my skin was left looking significantly brighter and feeling smoother. However, my face did feel a little numb (temporarily) and sticky to touch at first but I don’t have any major complaints. I like it! I enjoyed trying Bio-essence Bio-Energy Snail Secretion Repair Mask as well as Bio-essence Bio-Energy Snail Skin Repair Foamy Cleanser. In line with the reputation of Asian skincare, the Bio-essence Bio-Energy Snail Secretion collection successfully brightens skin. Unfortunately, both products failed to nourish as well as hydrate. I also remain sceptical in regard to the key ingredient, snail secretion (also known as snail mucin/slime). 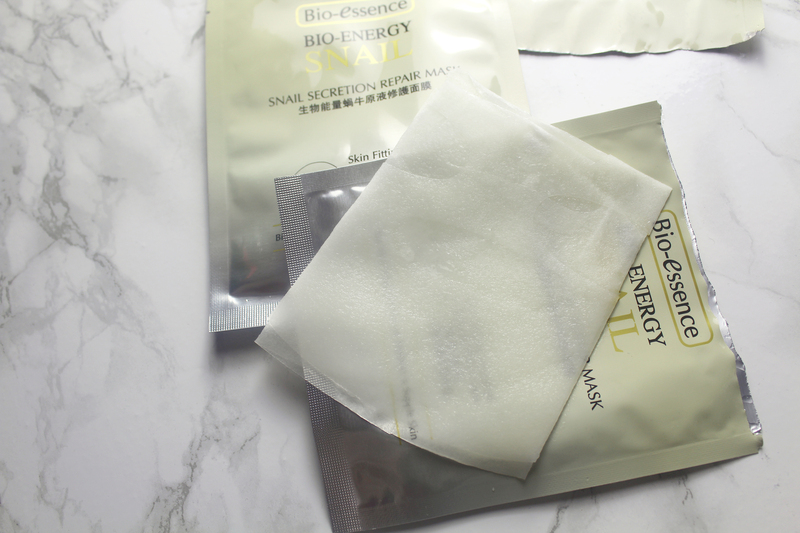 I don’t hate Bio-essence Bio-Energy Snail Skin Repair Foamy Cleanser but I can only recommend Bio-essence Bio-Energy Snail Secretion Repair Mask, as it is excellent! Bio-essence Bio-Energy Snail Skin Repair Foamy Cleanser is a good product but a little too stripping for my skin. If you have dull oily skin, you should check out the Bio-essence Bio-Energy Snail Secretion collection. I look forward to trying more Bio-essence products. I also want to check out more Asian skincare brands; do you have any recommendations?